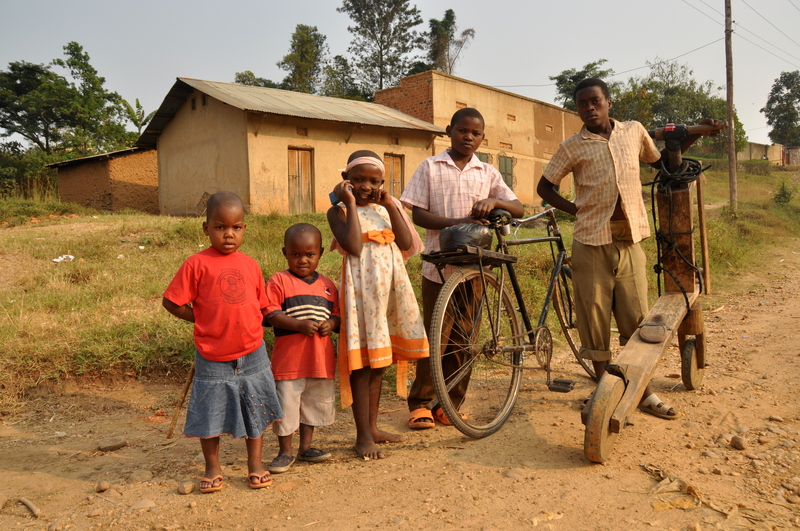 These inquisitive children were photographed during a pit stop in Uganda, but their patience and curiosity was emblematic of children throughout Africa. An uphill hike from the Valley of the Kings, near Luxor, Egypt, led to this impressive vista point. 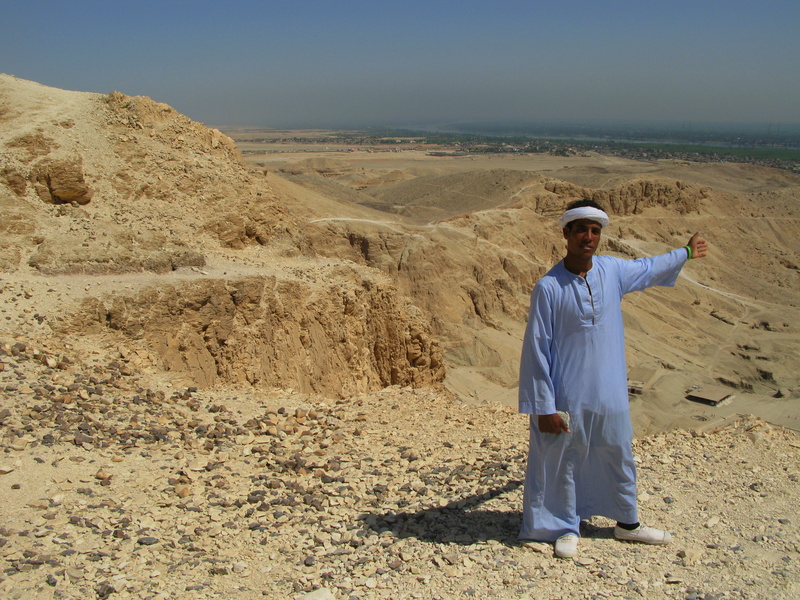 My guide, who saw me as an easy target for “baksheesh,” was sure to point out the River Nile in the distance. Nice guy though; I hope the economic struggles that accompanied Egypt’s Arab Spring didn’t put him out of a job…. 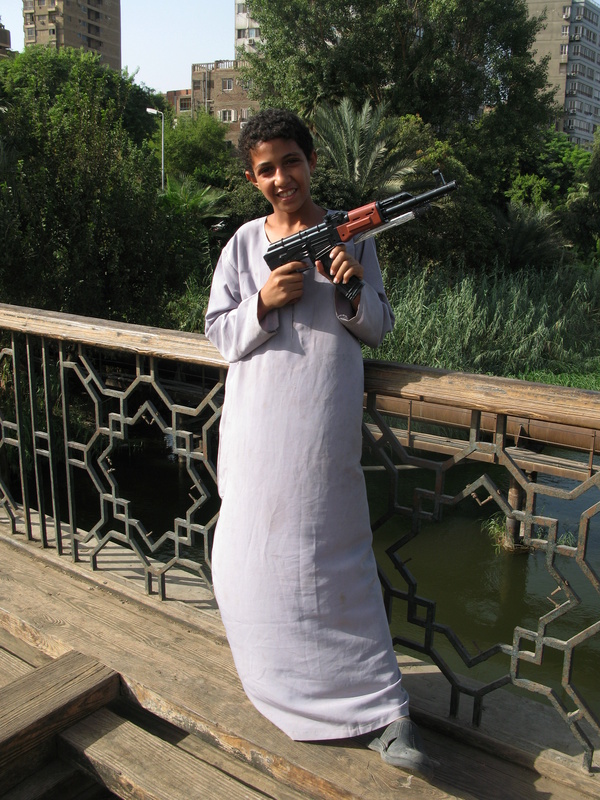 Speaking of Egypt, here we have young Abdul of Cairo, striking a pose for the mujahideen. 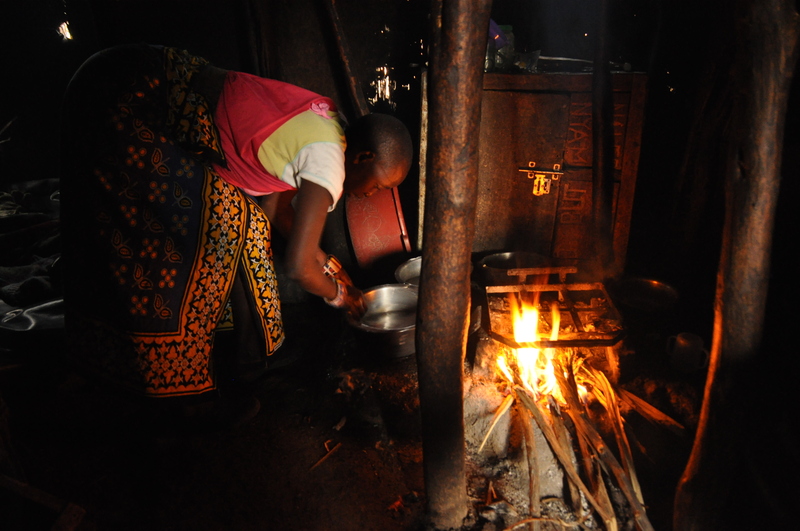 This Masaai woman, on the outskirts of Kenya’s Masaai Mara National Reserve, was proud to demonstrate the efficiency of her simple kitchen. Nothing to be ashamed of. 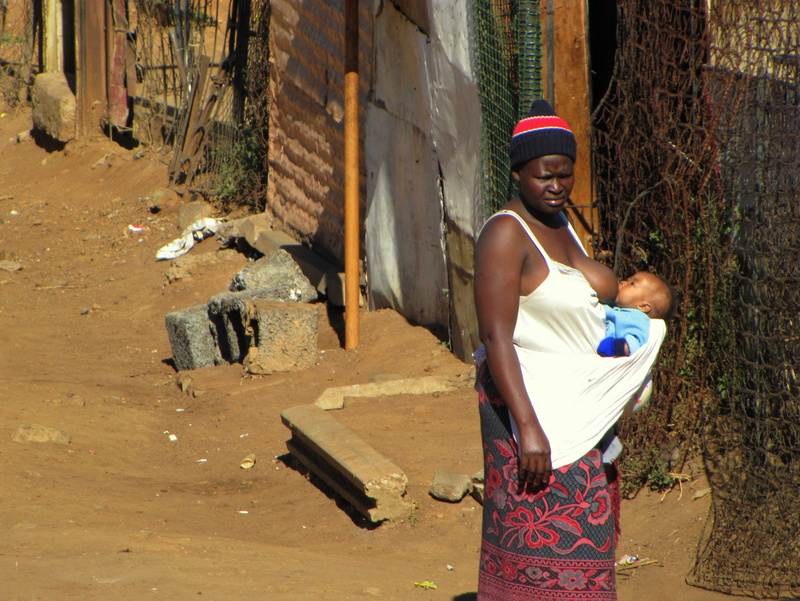 Photo taken in Soweto, near Johannesburg. 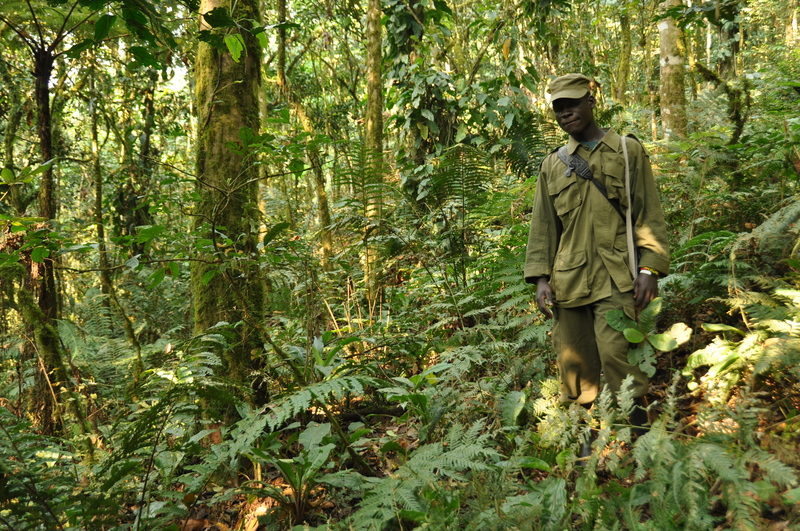 On the lookout for gorillas, somewhere in the depths of Bwindi Impenetrable Forest, Uganda. 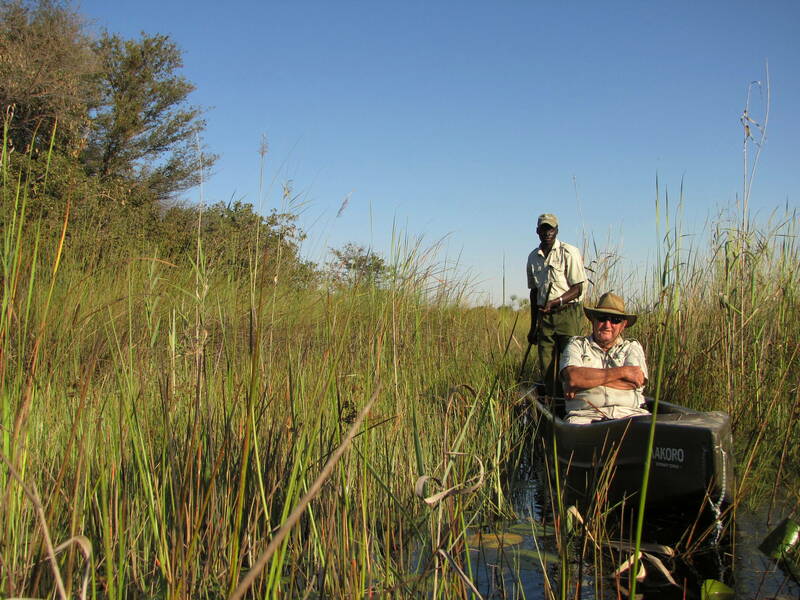 Dougie – surely one of Botswana’s richest men – cruises the reedy floodwaters that are the Okavango Delta, in Botswana, as his companion keeps a look out for hippos. 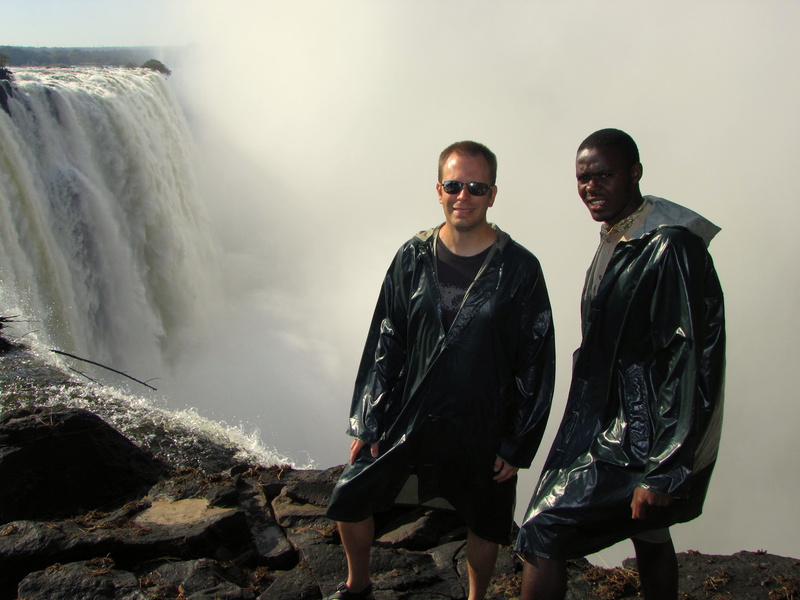 Local – and some gringo – carelessly poses atop the lip of Victoria Falls. 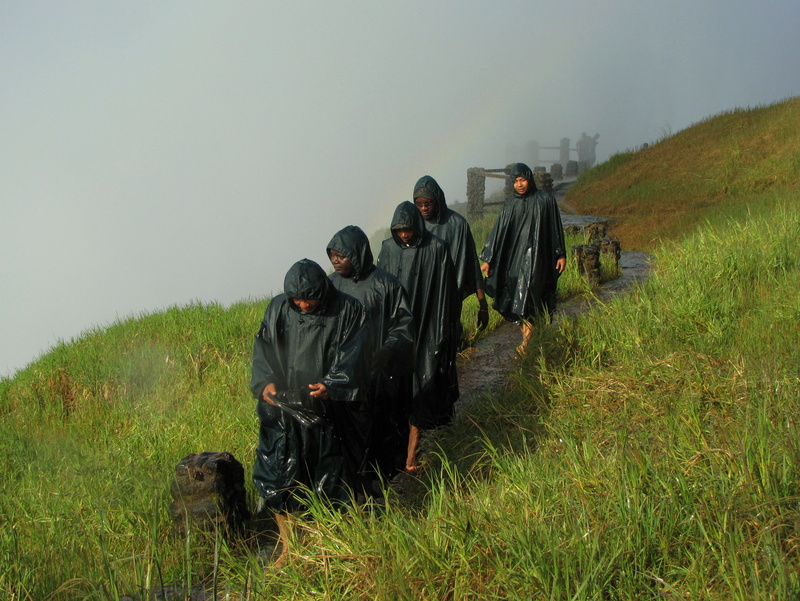 On more stable ground: Zambian nationals enjoy the natural “water park” that is Victoria Falls, courtesy of its drenching mist. 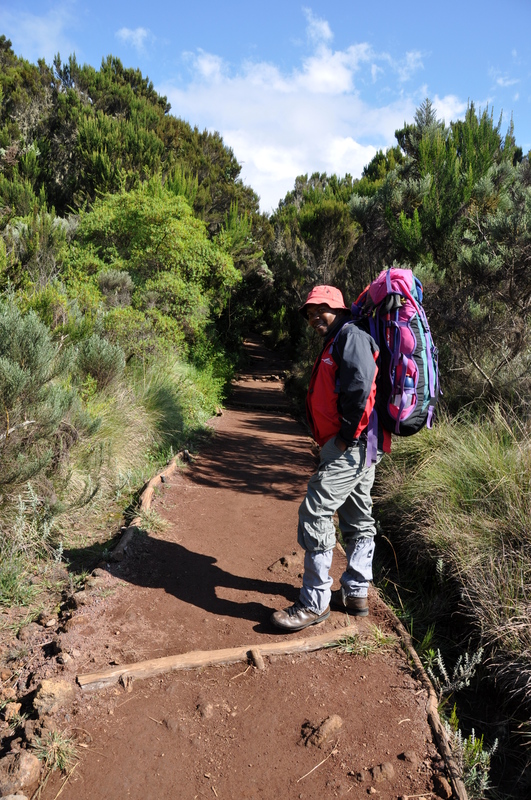 My long-suffering guide, Martin, smiles for the camera en route to the summit of Mount Kilimanjaro. After getting me successfully to the top and back, he had nary a single day off before it was time to lead another expedition. 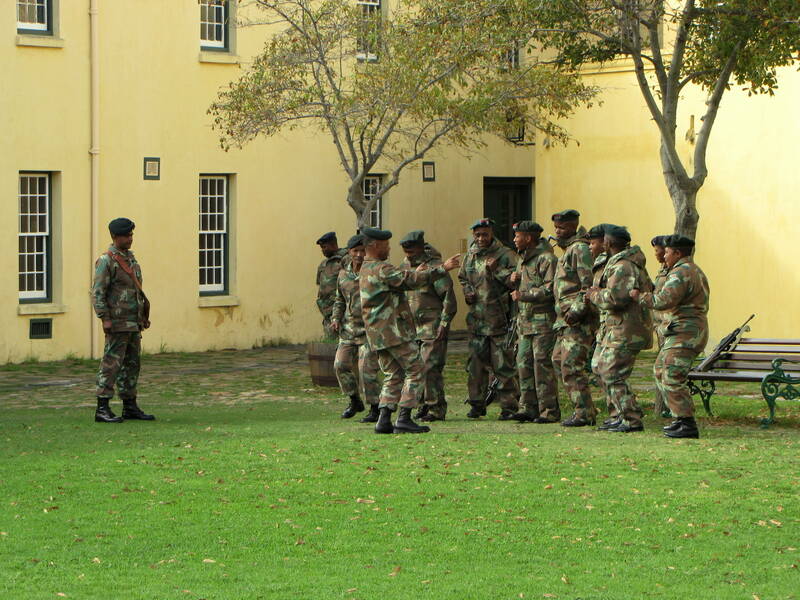 These soldiers appeared to have a good time as they danced a jig (all but one) inside the courtyard of the Castle of Good Hope, in Cape Town. 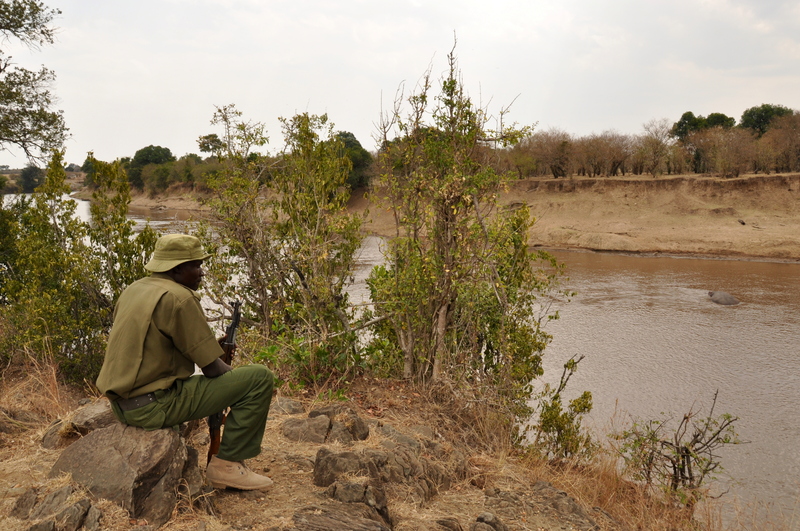 A job I don’t want for myself: keeping watch for cliff-climbing crocodiles along the Mara River, where Kenya and Tanzania meet. 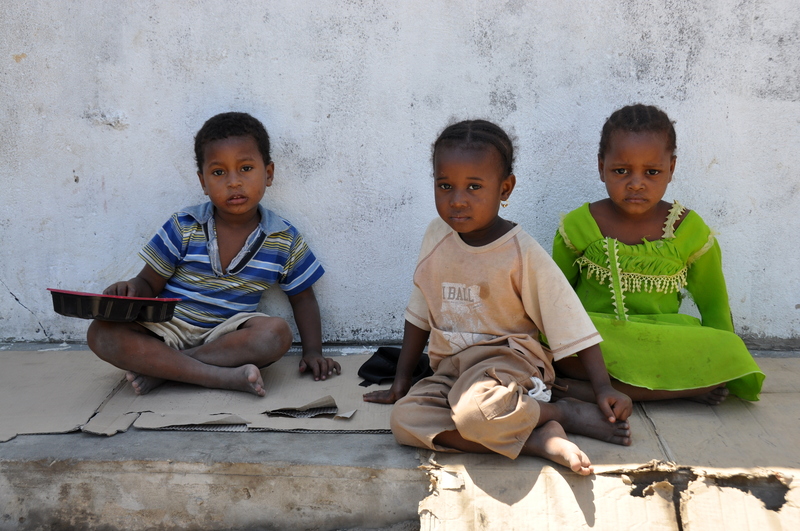 I photographed these beautiful children along a narrow street that passes through Zanzibar’s historic Stone Town. Look closely, though, and you’ll see a certain sadness in their eyes. What do you think? Which picture is your favorite? Great shots! 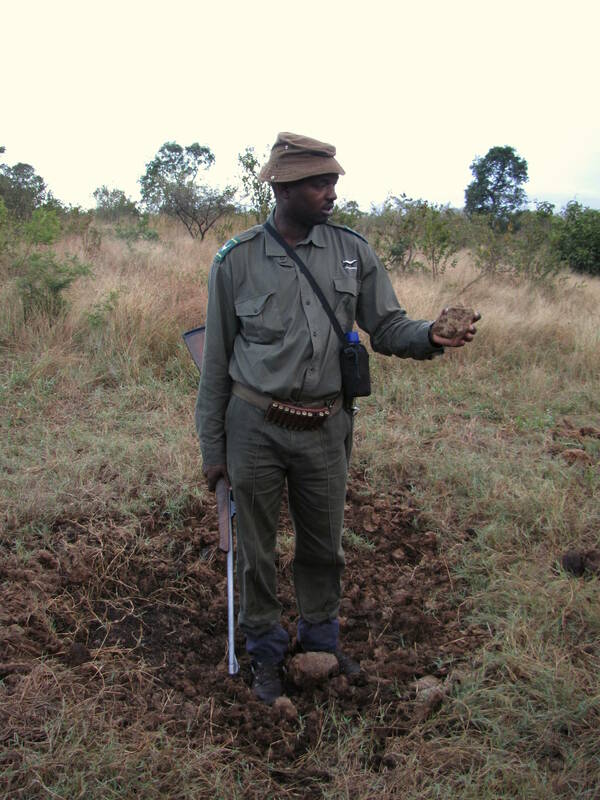 Makes me want to go to Africa more than ever. I’ve only ever been to Morocco. I think the first one is best, for the composition and the timelessness of it. Incidentally, I read your caption “was proud to demonstrate the efficiency of her simple kitchen” while looking at the breastfeeding photo and didn’t twig, feeding her child from her bosom is certainly efficient and a metaphorical kitchen of sorts. 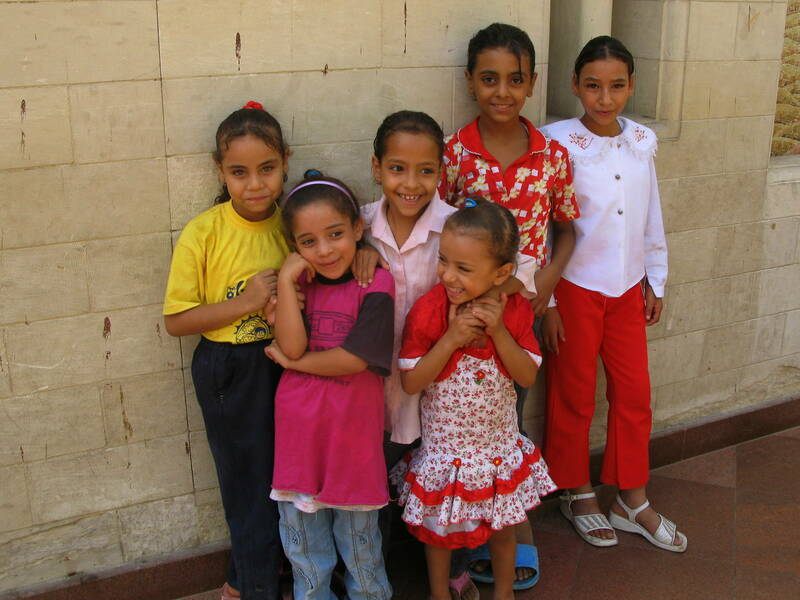 Beautiful photos, especially those of the children.